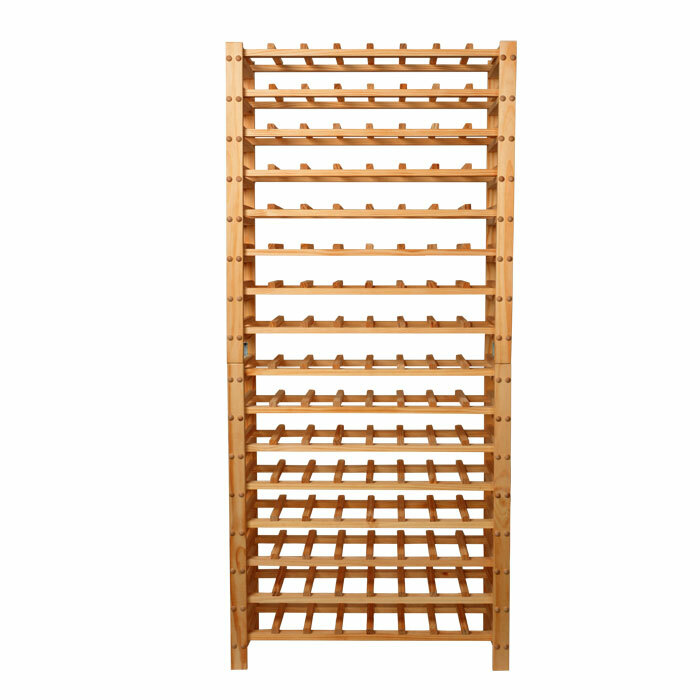 A new beautiful wine rack to our sortiment. 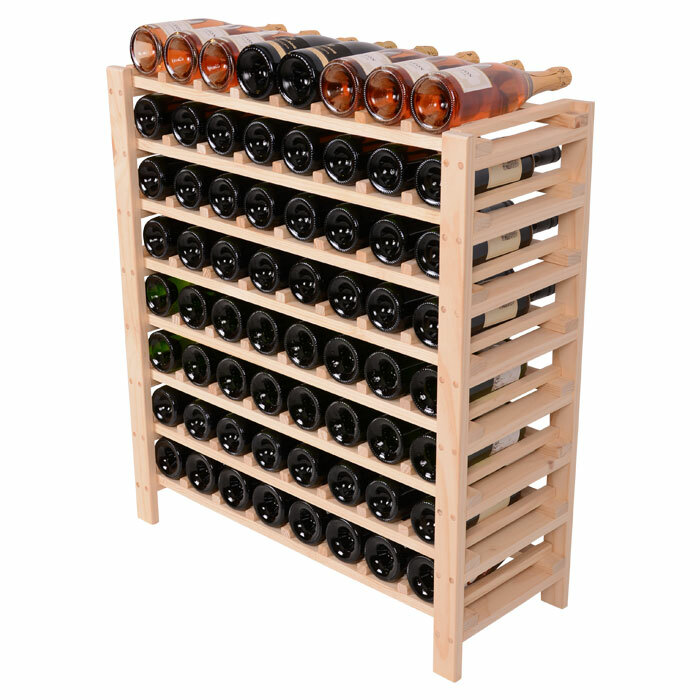 A very stable and presentable wine rack. 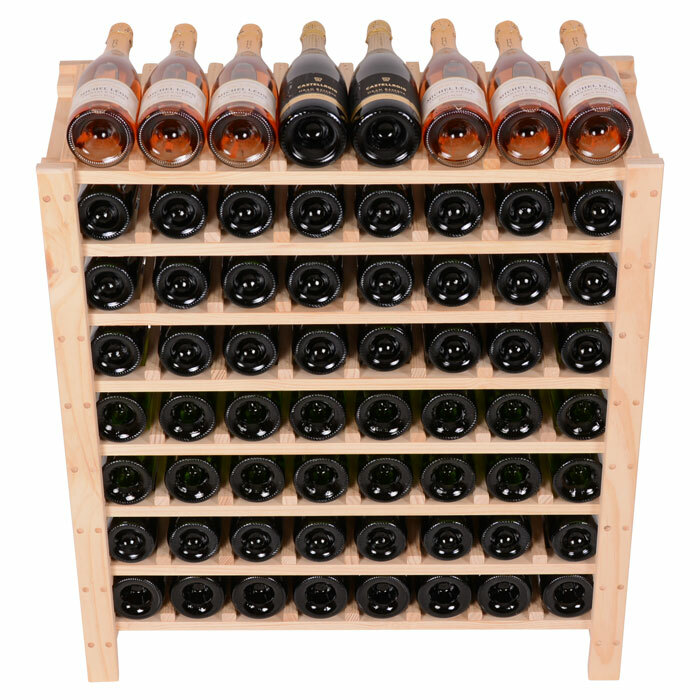 Bottle types Bordeaux and Burgundy fits well in this wine rack. 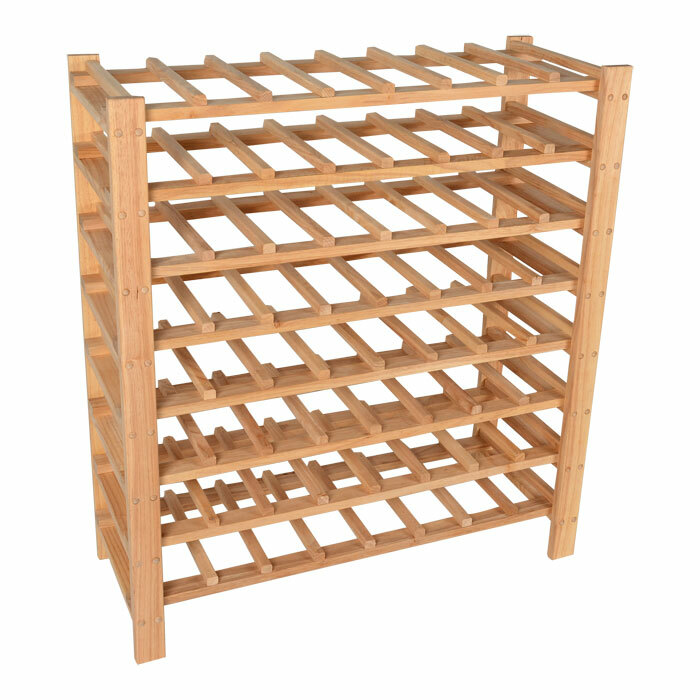 Champagne bottles could possible fit on some shelves in the wine rack. 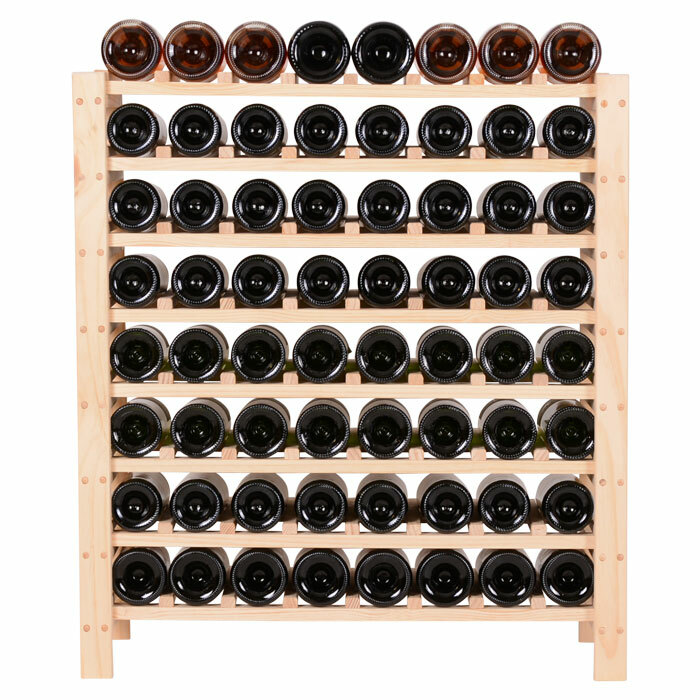 The top shelf fits all types of bottles. 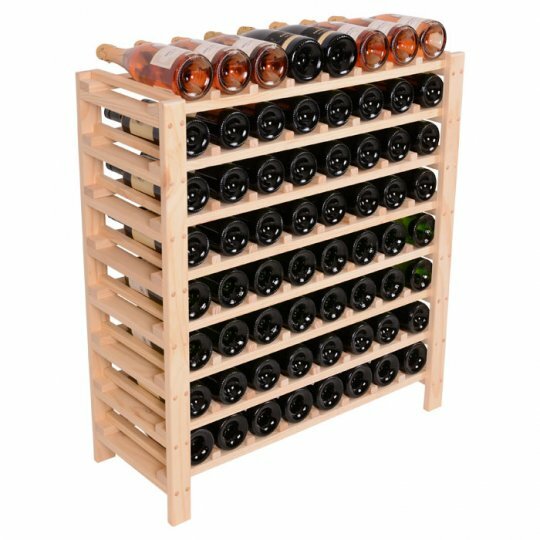 If you place several of these wine racks next to each other, you can create a wall och store a lot of bottles to a small amount of money. To stack two ELIZA on top of each other you need to buy assembly brackets. Order here. The wine rack is delivered unassembled, but is very easy to assemble because all shelves are supplied fully assembled and just needs to be screwed to the vertical beams. 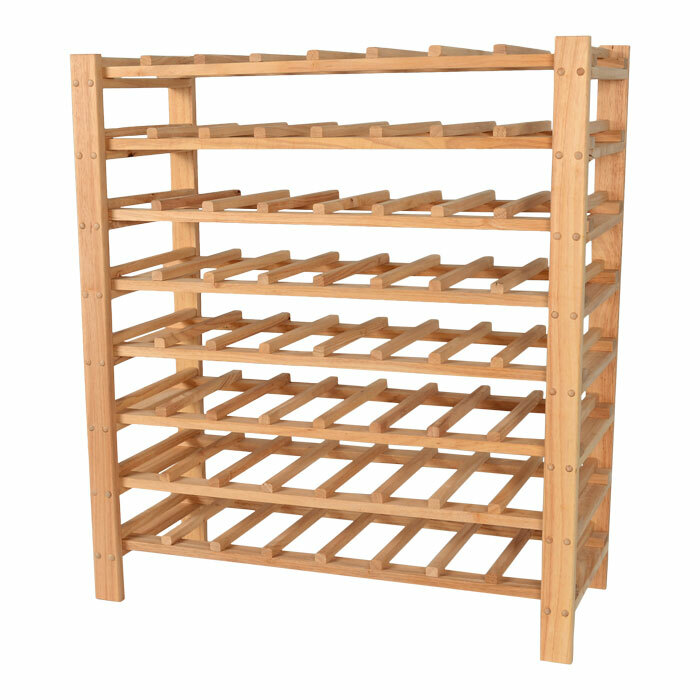 Made out of untreated pine. Solid surface (e.g. tiles or asphalt).